“Two years ago if you would have told me that the next big book project I was involved with was to be co-authored with Rob Bell, I would have asked what you were smoking,” says Mark Driscoll (from the Introduction, ix). At the time, Driscoll was at the helm of Mars Hill Church in the Rainier Valley in Seattle and on the board of Acts 29, a missional church planting network, he helped co-found. In 2013 there were criticisms and intimations of trouble, but Driscoll had always been a polarizing figure with his critics. Comes with the territory when you are a bombastic communicator and a man of strong convictions. He was under near constant criticism for what he said and how he said it. Yet in 2013 the new criticisms began to mount. 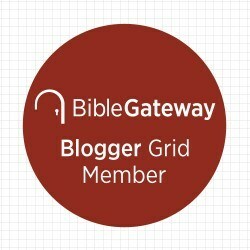 Driscoll was accused of plagiarism, faulted for unethical marketing, had formal charges filed against him by a former elder, was protested against by a number of former members and got his name dragged through the mud for a decade-old-internet-rant. By September of 2014, Driscoll was forced to resign and his once thriving church dissolved. Temperamentally, theologically and stylistically, Bell and Driscoll couldn’t be more different. Yet both of these charismatic leaders and church planters, found themselves forced to resign their respective Mars Hills. 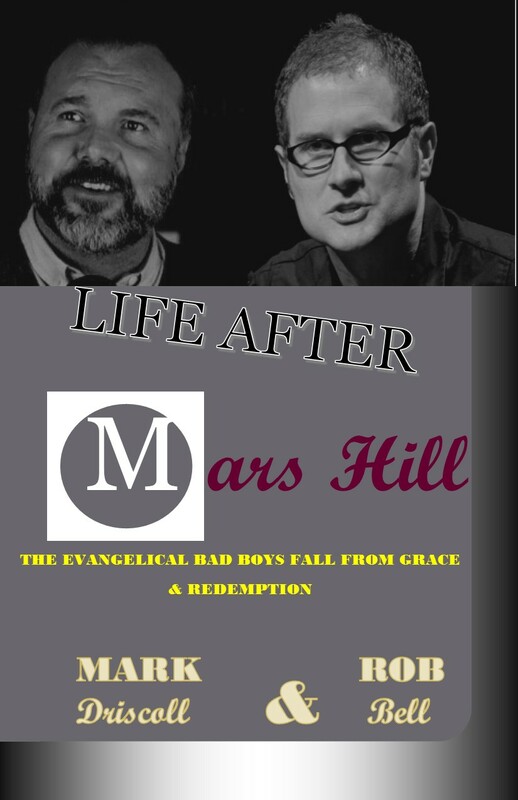 So how did these two get together and decide to collaborate on a new book, Life After Mars Hill (forthcoming, HarperOne)? When I left Mars Hill, I was given an ultimatum. I was forced to retire. All of my old friends and allies didn’t answer any of my calls. My conference dates were all cancelled. My publisher dropped me. Of course Grace stuck by me, but it was really hard. When I felt totally abandoned by everyone, even God, I got a phone call. It was Rob. He said he was praying for me and wanted to know how I was doing. I had been critical of Rob but when I needed someone to remind me of God’s grace, he was the one that was there for me. We met several times and discussed life, our mutual struggles and God. Rob had the idea of recording our conversations. When we listened to the terrain we covered, we both knew it would be interesting and helpful terrain for the church as a whole (6-7). That is how the two struck up their unlikely friendship. The book tells the story of the hurt and isolation both of these men felt after their fall from evangelical super-stardom. The format for the book is dialogue between the two former pastors (with a couple of brief chapters describing Driscoll’s and Bell’s personal journeys..
That the two men now call each other friends shouldn’t diminish the significant differences between their respective Christian visions. Bell still finds Driscoll’s Christianity narrow, legalistic and he finds Driscoll’s complementarian views and authoritarianism troubling (39-40). Driscoll still faults Bell for his lack of doctrinal precision, and his utter lack of manliness (43). The two also find themselves on different sides on a number of social issues (such as marriage equality). At one point, Driscoll kids Bell, “You have the style’ while I am the one with substance” (89). In response, Bell quips, “Jesus came full of grace and truth. You cling to truth. I love the truth but have sought to err on the side of grace” (90). But this is not a raging debate. Driscoll and Bell speak respectfully and humbly to one another. Critics of Driscoll will likely see him, in these pages, as stubborn and chauvinist as ever. Critics of Bell may still find his lack of doctrinal clarity aggravating and his teaching dangerous and pernicious. But there is movement on both sides. Bell is gracious and Driscoll reciprocates.I think the real value of this book is the conversation itself. 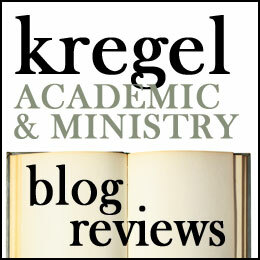 Rachel Held Evans endorsed this book saying, “Rob Bell has done what I never could arrange. He sat down and had a civil conversation with Mark Driscoll. While I find Driscoll’s Christianity problematic, I came away with a deeper appreciation of the man, his story and God’s graciousness to him.” I highly recommend this book for anyone troubled by the legacy of either of these former ‘Mars Hill Pastors.’ I give this book five stars! Notice of material connection: I received this book as a complete fabrication. I was not asked to write a positive review. But don’t you want to read this book? Happy April Fools. Wow this was good…you nearly got me there! My favorite is the Rachel Held Evans quote. Thanks for the laugh! Bahaha! This is awesome! At first glance I thought, “WHAT? This is the ONION of Christian publishing articles…” and then I remembered the date. So funny, thanks! Ha! You had me going all day :). Yeah, excellent review. I will buy this book and start a hipster church.